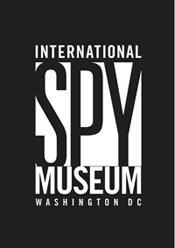 "Thanks to Customer Services Experts (Susan and Erin) for meeting with us and quickly assessing top priority services for the International Spy Museum in May '08; based on our goal of increasing overall guest satisfaction in all areas of the Museum. Not only did CSE help us define and refine evaluation criteria and implement the program in peak season, they brought divergent teams together that had previously operated in silos into a cohesive goal and results-oriented TEAM. Unlike some companies, once a program is implemented you never see or hear from them again, CSE is always available for questions, to help refine the program, and to add evaluation tools and train staff to use them to ensure that program goals are being met. While many businesses are cutting 'extra programs; such as secret shopping, we think the secret shop program is an investment that not only pays for itself, but ensures our business stays strong and competitive over time."